In part 1 of this series, I detailed how Behance maintains the CSS for our giant codebase (over 130 pages large!). I shared how we use Sass and Compass to organize, modularize and streamline code, as well as how we keep code consistent. In this part 2, I’m going to focus on the general “care and feeding” of your Sass codebase: how to use your modular Sass to create style guides, other tools to maintain code consistency, and ways to keep your team up-to-date on coding standards and guidelines. As I described in part 1, Behance utilizes partials for every repeatable module, making it easy to include the styles for a component with just one line of Sass. We rely on the mustache template engine to create small blocks of markup that can be imported and reused in other templates (just like Sass partials). Having our styles and markup split into partials not only makes it easy to manage discrete sections of code, but also makes it easier for us to maintain consistency. Since we only have to update code in one place at a time, there is less danger of breaking or forgetting other parts of the site. Not only do we use partials to make styling components across the site easy, we also use them to make a living style guide of these components. The style guide serves a purpose for both the designers and the developers by giving us a central place to see what modules already exist and what they look like. The Behance style guide is only available internally, but MailChimp and Starbucks have public ones that are great examples. Since the style guide is built using the same exact partials as the rest of the site, any changes made to the individual pieces are reflected immediately in both the front-end of the website and the style guide. Let’s say you joined Behance as a front-end developer today. How would you find out how we write our Sass? If one of our developers were abducted by aliens in the night, how easy would it be for another person to take over an existing feature or pick up where someone else left off? These are things we’ve spent a lot of time considering, since it’s not just our website that grows, but our team as well. We write them all in single-line Sass comments so that they do not get compiled into the generated CSS, allowing us to have documentation without worrying about bloating our code with unnecessary comments. // Prints out the width and height of an element. Having documentation inline in our Sass makes it easy to see at a glance what things do as we’re working with our code. Although we mainly focus on commenting mixins and functions, it can also be very helpful to have doc blocks for classes, extends and anything else! There are also third-party tools you can use to generate style guides based on comments like these. Knyle Style Sheets (KSS) is a human-readable documentation syntax that uses Ruby to parse these comments and generate a style guide. 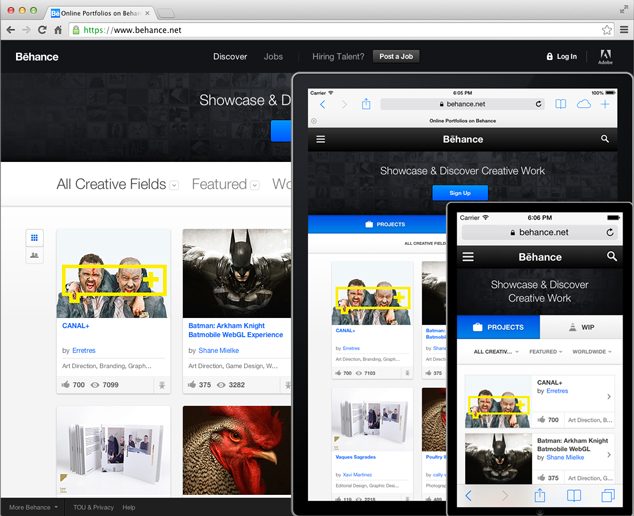 This makes it easy to show your markup, styles and documentation together in one place. Hologram is a similar tool with a different documentation syntax. No matter what route you go, any documentation is better than none. If you use Sublime Text, use the Dependents package to easily navigate through Sass @import dependencies for any given file. Where the style guide is meant to provide a visualization of different components — and inline comments are intended to provide information about how a small piece of code works — the wiki is used as a higher-level utility to provide more robust information about how all the pieces fit together, making it especially useful for new team members to jump into Sass and start using existing components. We’ve set up hooks in Github to run scss-lint on any Sass code we push before it can go to master, which runs checks on our coding style (or “lints” it) to make sure the code abides by our standards. There are many other popular linting and code quality tools for other languages (such as JSHint, JSCS and PHPCS — all of which we use. And for “vanilla” CSS, there is CSS Lint. These tools mean that our pull request reviews — the process by which a team member gets their code into master in Git — are more meaningful, since we can focus on the integrity of the functionality and ideas behind the code, rather than on code style. Output from scss-lint lets you know the style problems in your code, which helps unify code style and leads to more meaningful code reviews by others later on. If you’ve read part 1, you now know how to use Sass to organize and optimize your code using partials, how to utilize powerful Sass and Compass features, and how to create your own custom frameworks. With this part 2, you learned various ways to document and share knowledge of your codebase with other developers, maintain style guides for consistency and transparency, and how to keep code healthy with coding standards and tools. Using these starting points, you and your team can be writing and maintaining healthy code for a big website in no time! Don’t over-fragment your code – you should come up with a system that makes your modular components neatly packaged and easy to understand. Don’t be afraid to experiment with different documentation styles and tools to find the one that works best for you and your team. Don’t put off documenting your code. Why do tomorrow what you can do today? Have a set of coding standards that you and your team follow. Use linting tools to make sure your code is maintaining code style standards. Keep it simple! The more straightforward your code is, the easier it is to understand. How do you maintain a style guide for your website?